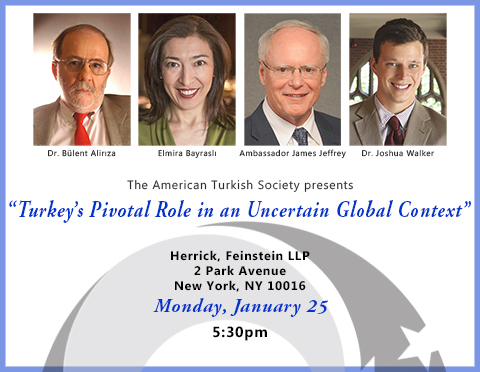 The American Turkish Society is pleased to present a panel discussion on the pressing foreign policy and security demands of Turkey in a changing and challenging global climate. Join us as we discuss with experts the pivotal geopolitical role that Turkey plays today in the Middle East and across the globe. Light reception to follow.